﻿ Protea Hotel Cape Town North Wharf Cape Town. JIMAT di Agoda.com! Ada soalan mengenai Protea Hotel Cape Town North Wharf? Sesuai untuk berehat dan bersantai, Protea Hotel North Wharf terletak di area Pusat Bandar Cape Town di Cape Town. Hanya sejauh 19.2 Km, hotel 4-bintang ini boleh diakses dengan mudah dari lapangan terbang. Bagi anda yang ingin pergi agak jauh, Konsulat Jeneral Angola, Virgin Active - Cape Town, Spa Arabella merupakan beberapa daya tarikan untuk pelawat. Tetamu boleh memilih dari 65 bilik, semuanya yang akan memberikan suasana ketenangan dan keharmonian. Senarai lengkap kemudahan rekreasi boleh didapati di hotel, termasuk pusat kecergasan, padang golf (dalam jarak 3 km) , kolam renang terbuka. Protea Hotel North Wharf adalah destinasi sehenti anda bagi penginapan hotel berkualiti di Cape Town. We loved having an apartment and the space. The hotel is close to the conference centre and the staff are friendly and helpfull. Our stay was excellent and the staff were great. One problem for those of us with food allergies is that food at buffets is not labeled or is incorrectly labeled. This is a health risk for many and should be not continue. One day fish at breakfast was labeled "strawberries" and another day it was labeled "vegetarian". Had a great stay as we were surprised with how large our rooms was. The staff explained that all rooms in the hotel are apartment rooms. We stayed 5 days and enjoyed the hotel staff. We dined in a couple of times, food was average but adequate. The hotel is very clean, super spacious with warm, friendly, and helpful staff. The room is a suite/apartment style with a very comfortable bed and pillows. The couches and chairs in the living room are not the most comfortable but are exceptable. The kitchen is a full functioning kitchen with a stove, oven, refridgeratord,ishwasher, tea kettle,toaster as well as pots, pans, dishes and utensils so you can cook and eat right in your room.Although the food at The Waterfront is so yummy you may not have a chance.There is also a washer and dryer to freshen up your clothes. Breakfast is included and was very yummy with an assortment of pastries, cheeses, breads, fruits, muffins, meats, and other breakfast items. You could get an omelette or pancakes made for you as well as coffe, capuchino, tea, juice etc. I really enjoyed the breakfast and is served until 10:30 so you can sleep in a little if you so chose. The cleaning staff does a great job but they come early so make sure you have your "do not disturb" sign on your door or they will ring your bell very early. The hotel also has free wifi . 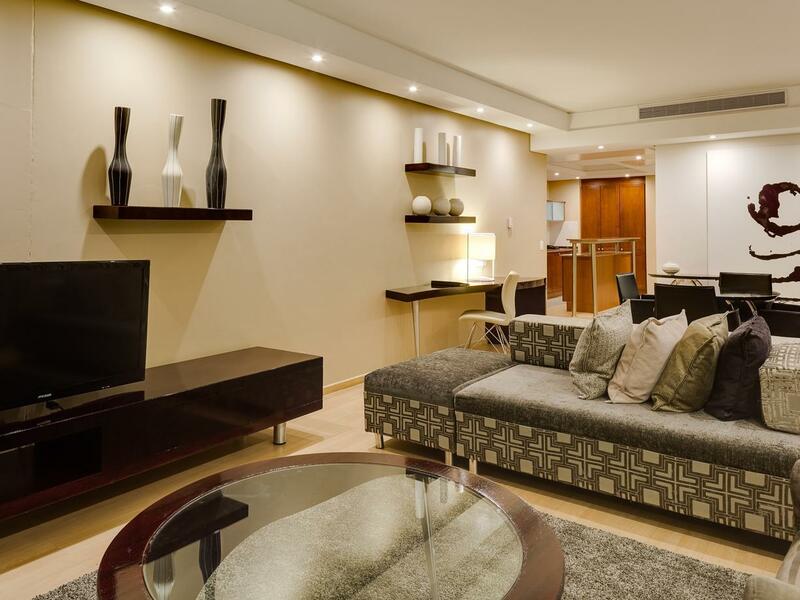 Protea Hotel is centrally located a hop, skip, and jump away from everything in the City Centre of Cape Town. It's across the bridge from the V & A Waterfront, across the street from the Convention Center and near some business and shops which close very early because it is a business disrict but they are available during the day. It' s a safe area with visable public safety post staffed with friendly and helpful officers. I walked from the hotel to the V& A Waterfront every night and felt completely safe. 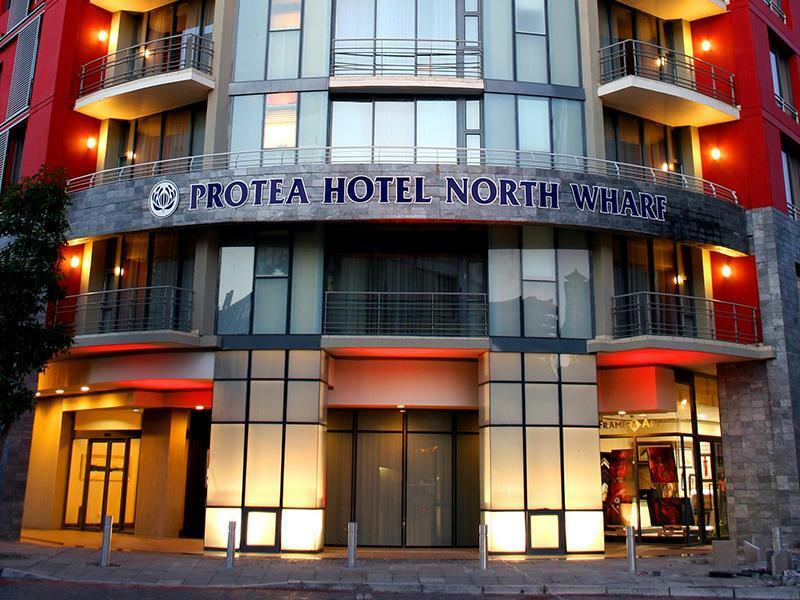 I had a wonderful stay @ The Protea North Wharf Hotel and when I visit Cape Town again I plan to stay here again. CTICC is only a few minutes walk from the hotel and one can see CTICC from the hotel. Also great location to get to Waterfront. Very easy to walk there by starting the journey from a bridge on the left side of the hotel. Friendly and helpful staff. Room is spacious. Very glad to find that washing machine is available in the room. The rooms were large and the staff was very friendly and helpfull. My stay at The Protea Hotel North Wharf was wonderful. The staff was friendly and went out of their way to be helpful. when I arrived in Johannesburg, one piece of my luggage did not arrive on my flight. The desk clerks called the airline for me every day to check on my lost luggage. The day my cousins and I checked out they informed me if they called they would give them the iformation of the hotel I was staying at in Durban. We were at the end of our traveling in South Africa and it was a welcomed relief to be able to prepare meals, attended to our own washing and have the comfort of a spacious apartment. 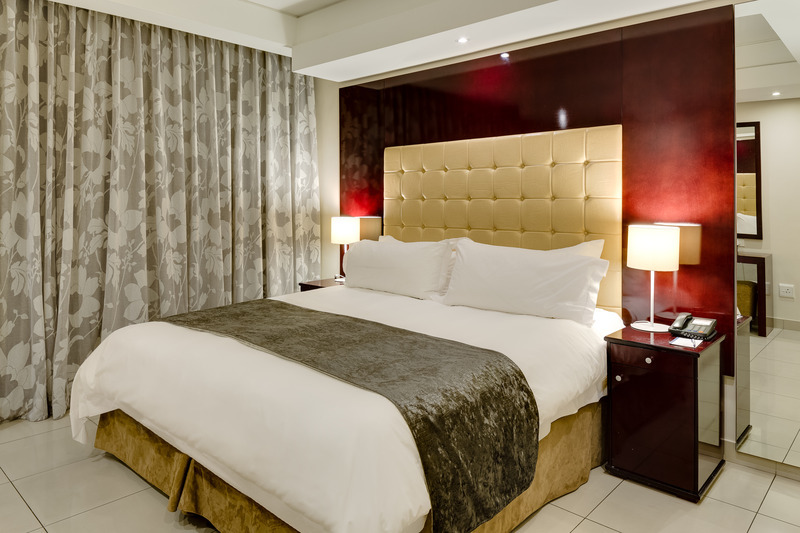 The hotel offers full service and is conveniently located to the heart of the city, a 15minute easy and safe walk to the waterfront and is opposite the International Conference Centre. Large room, full kitchen, great housekeeping, wonderful staff. What else?! I've stayed here a few time and still will come back if I'm in Cape Town. Particularly like the secured parking, which is in the basement with ample space. Well protected from the weather too. It rained most of the days and hence I appreciated the basement carpark very much. Very friendly and very helpful staff, big rooms, good foot, excellent coffee, close to waterfront and conference centre. At night time we went out by taxi at cheap rates. Staff not only friendly and helpful but also very humerous, we laughed so much in this hotel. View from pool roof and room great, e g to table mountain. From the moment you entered the Hotel the staff were friendly and helpful and the apartments are great. The service is excellent and the breakfast buffet is plentiful with a great selection. Quiet but convenient. Big apartments. from the outside, it seems small and the reception area was simple but when we got to the room, we were amazed! 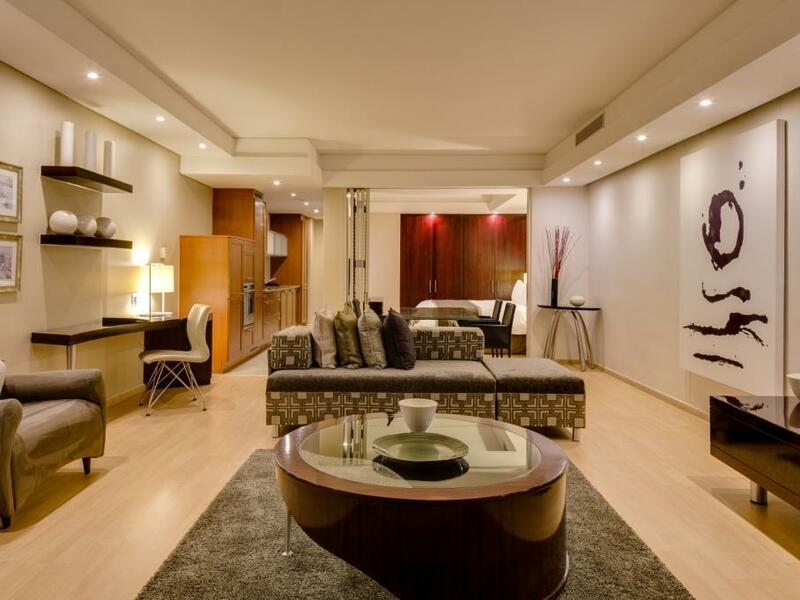 more of an apartment than a hotel room. 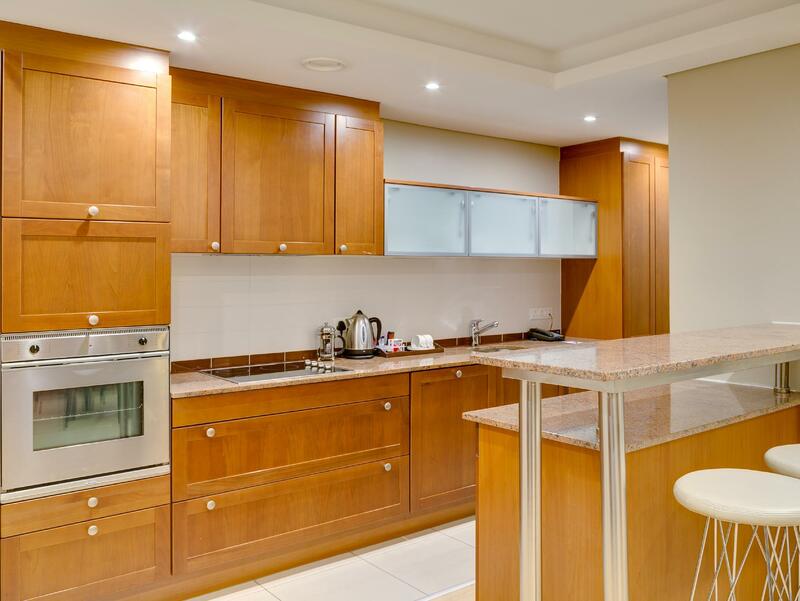 huge living and dining area, kitchen area with stove, oven and microwave and all the necessary cooking utensils and washing machine. one bedroom with a seperate bathroom. huge tv in the living area and a smaller one in the bedroom. breakfast, which was included in our package, was very adequate. decent spread with choice of eggs cooked on the spot. choice of coffee, drinks, etc. and quite a bit more. 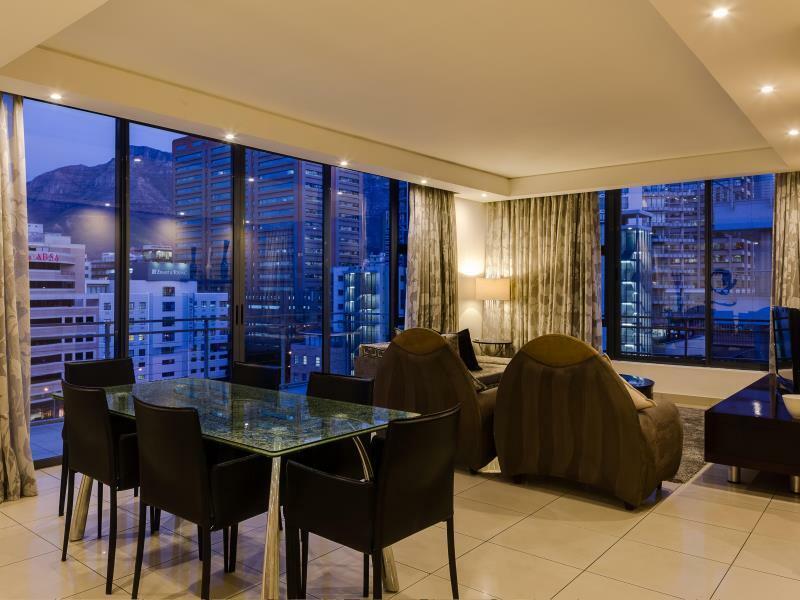 situated in a quiet area but within walking distance to the city center and about 15 mins walk to the v&a waterfront. reception and the restuarant staff were excellent on the whole. friendly and accomodating to the smallest requests. free daily 100mb of wifi which was very useful for simple task of emails, etc. it's definitely a home away from home. we found it so cosy that we decided to buy groceries and cooked simple meals in the apartment after a full day spent outdoors. not a large or five-star hotel but had everything i wanted at a very reasonable price. the rooms were more than adequate and the restaurant had a modest but adequate menu. staff were very friendly, efficient and helpful. i would definitely recommend to other professionals attending a conference in cape town. Stayed here because of proximity to Conference Centre. Other sightseeing sites in easy reach by foot or fast and cheap taxi ride. Very nice hotel, would recommend, I was using it for my 3 last nights in CT and its a very good base for sightseeing. I enjoyed stayed in this hotel because they have nice room and make me feel like at home..
huge rooms, complete room facilities with even washing machine ideal for family. limited complimentary internet access per day.